Be the first to share your favorite memory, photo or story of William “Bill”. This memorial page is dedicated for family, friends and future generations to celebrate the life of their loved one. Bill (William) Charles Priestley was born July 17, 1954, to Charles and Phyllis Priestley. He was raised on the family farm in Guthrie County with his sisters, Julie and Pam. On November 11, 1972, Bill married Marcia Sorensen and they were blessed with two children, Andy and Ali. Bill and Marcia raised their family in their hometown of Guthrie Center. Following graduation from Guthrie Center High School, Bill studied Building Trades at DMACC in Des Moines. In 1977, Bill started Priestley Construction and spent his career building over 150 beautiful homes at Lake Panorama and the surrounding areas. He prided himself in the quality and workmanship of the homes, earning great respect as a builder. Many of his clients became lifelong friends. Bill was a devoted member of Immanuel Lutheran Church in Guthrie Center. He served various roles within the church. He used his talents for the Lord’s service by designing and erecting three 20 foot metal crosses along Highway 44 outside of Guthrie Center. In 2016, Bill was diagnosed with ALS, which he battled without complaint. He lived every day with an attitude of gratefulness and never took his blessings for granted. His faith and strength were an inspiration for all who knew him. 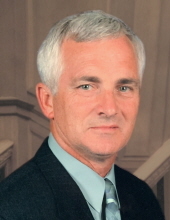 Bill had many passions in life including traveling with his family and friends, spending time with his grandchildren, working with his hands, Jeeping, boating, fishing trips, and watching sports, specifically the Iowa Hawkeyes. On April 9, 2019, Bill went to Heaven, joining his father, mother, father-in-law, Milo Sorensen, and many other loved ones. Bill leaves behind his wife of 46 years, Marcia, children Andy (Julie) Priestley of Adel, and Ali (Cary) Coppola of West Des Moines and grandchildren, Katelyn and Claire Priestley, and Carter, Brynn and Lia Coppola. He also will be greatly missed by his sisters Julie (Bob) Christensen and Pam (Denny) Kunkle, mother-in-law, Betty Sorensen, and many other family and friends. Bill was a blessing to many and an example of Christian courage to all who knew him. His family will honor his memory by living their lives with a “thumbs-up” attitude. Bill made the world a better place by his love. A visitation will be held at Twigg Funeral Home in Panora on Friday, April 12 from 5:00 – 7:00pm. Funeral services will be Saturday, April 13 at 10:30am at Immanuel Lutheran Church in Guthrie Center. A luncheon will follow at the Christian Fellowship Hall on North 4th Street in Guthrie Center. In lieu of flowers please consider a donation to the ALS Association at alsa.org. To send flowers or a remembrance gift to the family of William “Bill” C. Priestley, please visit our Tribute Store. "Email Address" would like to share the life celebration of William “Bill” C. Priestley. Click on the "link" to go to share a favorite memory or leave a condolence message for the family.